…enjoy life to its fullest again! Office Hours - 7-days/week by appointment only. Lab providing no-radiation bone density, vascular aging test, etc. Sauna & heated pool for exercise/rehab. INVESTIGATIONAL AND/OR EXPERIMENTAL: Some of the services and/OR products, tests and offerings offered by Dr. Wald, but not limited to them, may be considered Investigational and/or Experimental. 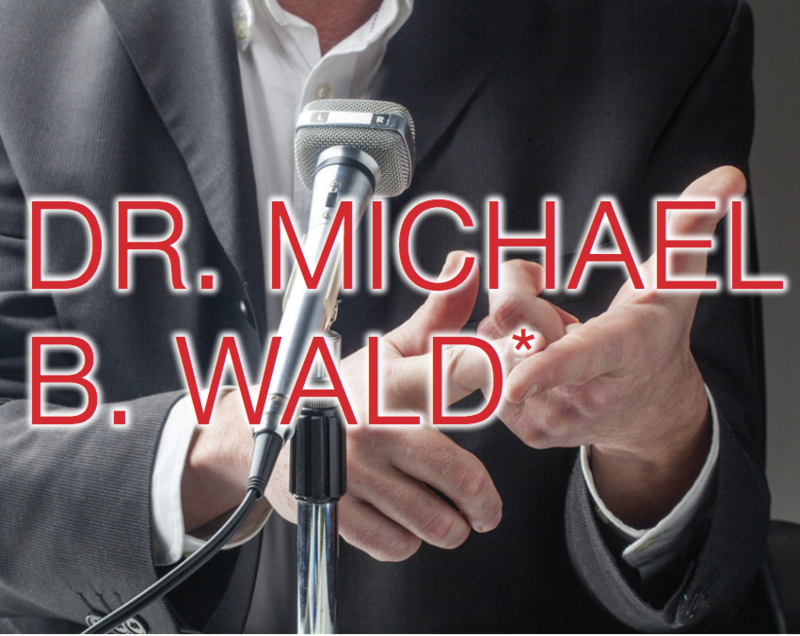 By becoming a patient of Dr. Wald's, and receiving products, services or other recommendations, you are hereby acknowledging the following: Investigational" or "Experimental offerings from Dr. Wald are defined as: "Investigational" or "experimental" refers to the use of a service, procedure or supply that is not recognized by your insurance company and/or the FDA (Food and Drug Administration) and/or the AMA (American Medical Association) or other boards and/or governing bodies or organizations, as standard medical care for any condition, disease, illness or injury . A service, procedure or supply includes, but is not limited to the diagnostic service, treatment, facility, equipment, drug or device. A service is considered investigational (experimental) if any of the following criteria are met: The services, procedures or supplies requiring Federal or other Governmental body approval, such as drugs and devices, do not have unrestricted market approval from the Food and Drug Administration (FDA) or final approval from any other governmental regulatory body for use in treatment of a specified condition. Any approval that is granted as an interim step in the regulatory process is not a substitute for final or unrestricted market approval. There is insufficient or inconclusive medical and scientific evidence to permit the Plan to evaluate the therapeutic value of the service, procedure or supply. (Adequate evidence is defined as at least two documents of medical and scientific evidence that indicate that the proposed treatment is likely to be beneficial to the member.) There is inconclusive medical and scientific evidence in peer-reviewed medical literature that the service, procedure or supply has a beneficial effect on health outcomes. The service, procedure or supply under consideration is not as beneficial as any established alternatives. There is insufficient information or inconclusive scientific evidence that, when used in a non-investigational setting, the service, procedure or supply has a beneficial effect on health outcomes or is as beneficial as any established alternatives. If any portion of this notice is deemed unenforceable the remainder will remain potentially enforceable and in effect. Reversal of the payment/charge for your custom product will be met with legal and/or other remedies and the purchaser will be held fully liable for all fees, including, but not limited to, penalties and monies incurred during the course of obtaining payment in full. Non-payment will result in potential damage to your credit report. *Blood Logic, Inc. and Dr. Michael Wald also do business as (DBA) Blood Detective. First, call me at 914-552-1442 and let's talk. Describe your health issue to me and together we can decide if I'm the right practitioner for you. If I'm not, I may be able to suggest someone who is. Second, compare my credentials with others. See the About section of this website for my full bio. In short, I've been called the Most Qualified Clinical Nutritionist in the United States. My goal is to help you get well by combining my 29-years of experience with hundreds of patients with my extensive education and love for natural health. CLICK THE IMAGE DIRECTLY ABOVE TO WATCH Dr. Michael Wald interviewed on ABC World News Tonight with Diane Sawyer. Dr. Michael Wald being interviewed on FOX News about testosterone. To watch this video go the Video section of our website. Dr. Michael Wald, author of Frankenfoods - Controversy, Lies & Your Health, offers a riveting perspective of the GMO predicament, exploring governmental and industry cover- ups, health dangers, environmental threats, GMO-free food plans and recipes, nutritional supplements and other practical solutions. Dr. Wald declares, "The GMO dilemma is here to stay. Anyone interested in protecting their health and that of their loved ones, friends and the planet must educate themselves and take political and personal action right now!" A photo of Dr. Michael Wald running the New York Marathon - finished in 3 hrs 48 min. *Dr. Wald is not licensed to practice medicine. He graduated medical school and earned his medical degree (MD).